The Body Shop is giving away Free Samples of their Expert Facial Masks! 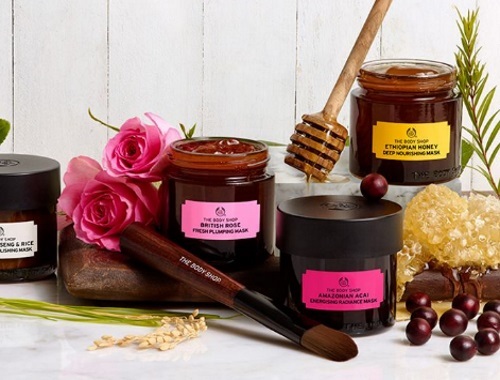 Try their Himalayan Charcoal Purifying Glow Mask and British Rose Plumping Mask from The Body Shop for free! These Expert Facial Masks will soothe and reveal smooth skin. Love what you see? For $28 each, these masks are a great addition to your skin care routine. Shop in-store and online. Claim your free samples and share the exclusive offer with your friends, they’ll thank you later! Subject to availability. In participating stores only. Don't forget that coupons are only redeemable in-store while supplies last. Offer valid until May 7 2017 while supplies last. Click on the claim it button at the link below, or share it with a friend. The link below is not mobile-friendly, be sure to use a non-mobile device to access it.